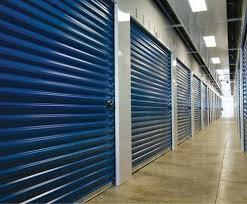 One modern solution to the space issue that’s definitely worth considering is self-storage. It’s a simple, highly cost-effective way of managing your stock plus you won’t have to worry about additional costs such as building insurance, rates, property maintenance, security, theft or damage to your goods. 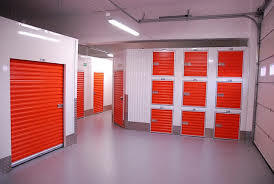 Another benefit of self-storage for your business is the flexibility it gives you; you can rent as much or as little space as you need and for as long as you need it. If your business grows, or you have an opportunity to buy some stock at a great price and don’t want to miss out, simply hire out more space. If you need to carry less stock or are diversifying into products that don’t take up so much room, just reduce your self-storage space. Here at Hoddesdon Self Storage, our new, all-purpose self storage facility in Hertfordshire offers everything from steel storage rooms to open warehouse space, so whatever type of space you need, we can help. Protected by 24 hour CCTV and alarm system, you won’t have to worry about the security of your goods and as the sole key holder, you can access your unit whenever you want. If you need help getting goods to or from your self storage unit, we’re affiliated with friendly local mover, Your Man With A Van, and Dan and his team will be delighted to help, saving you the hassle, or the expense, of hiring or buying your own van.